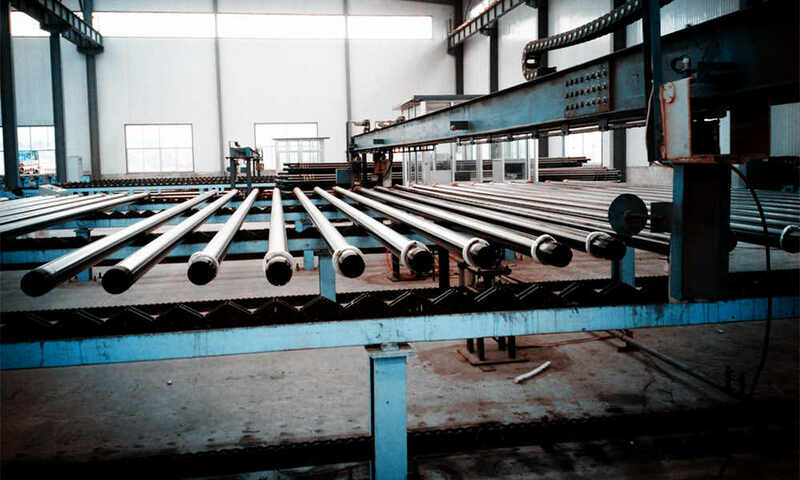 Ends Type: BTC, UN, EUE, Premium ends that could completely replace the tubing premium connection of Vam, Tenaris, Hunting, TSH etc. 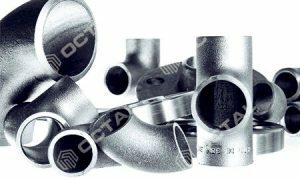 Octal offered various ends types from different Tubing manufacturers in China. 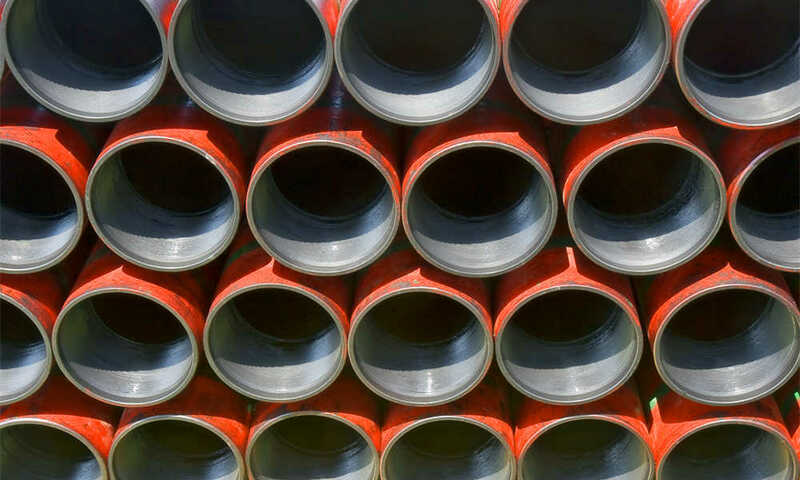 Including API 5CT tubing ends BTC, EUE, NU, and also premium connections that could perfectly replace the tubing connections in Vam, Vam Top, Hunting, HYD, Tenaris and similar threads. 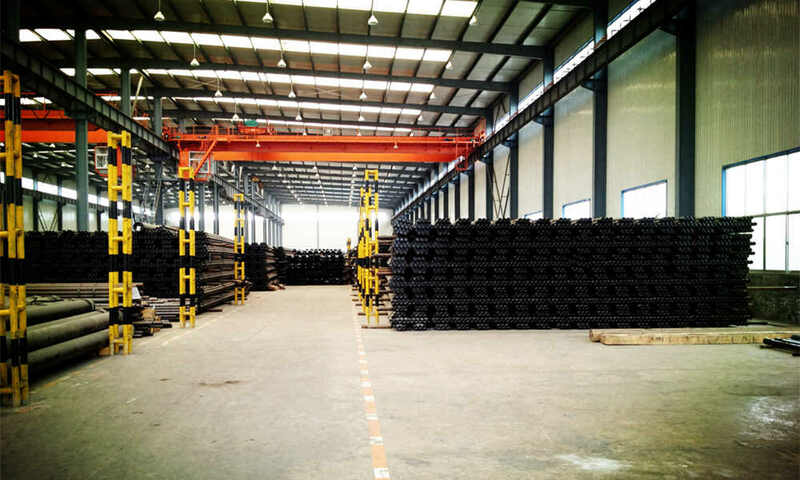 Refers to the chemical composition, mechanical strength of YS (Yield Strength), TS (Tensile Strength), Elongation and hardness. a. The carbon content for L80 may be increased up to 0,50 % maximum if the product is oil-quenched. b. 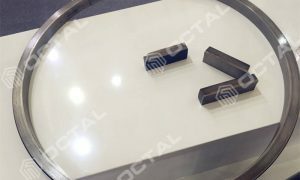 The molybdenum content for Grade C90 Type 1 has no minimum tolerance if the WT is less than 17,78 mm. c. The carbon content for R95 may be increased up to 0,55 % maximum if the product is oil-quenched. 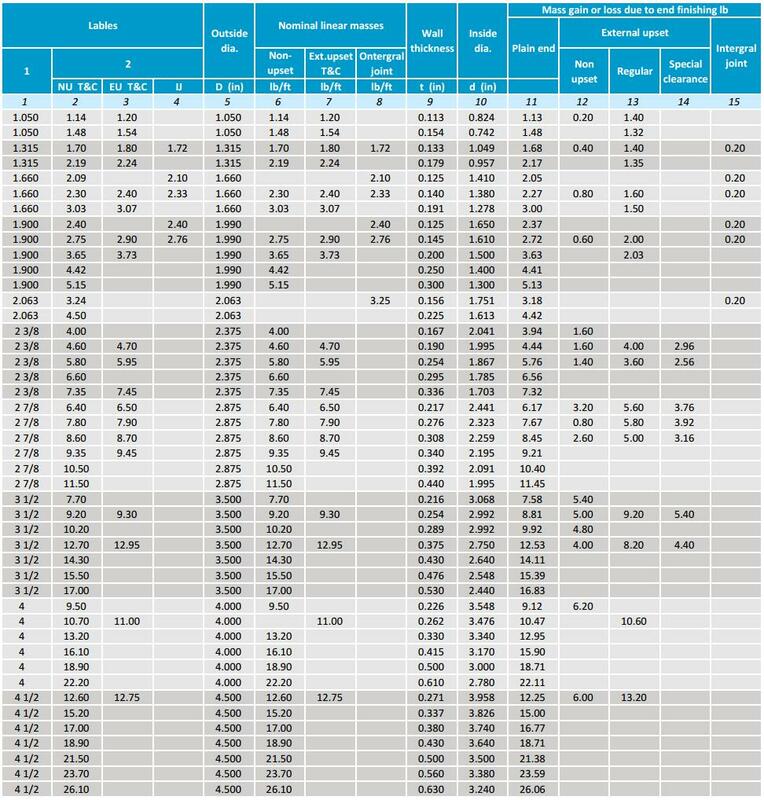 d. The molybdenum content for T95 Type 1 may be decreased to 0,15 % minimum if the WT is less than 17,78 mm. e. For EW Grade P110, the phosphorus content shall be 0,020 % maximum and the sulfur content 0,010 % maximum. NL = no limit. Elements shown shall be reported in product analysis. a. In case of dispute, laboratory Rockwell C hardness testing shall be used as the referee method. b. 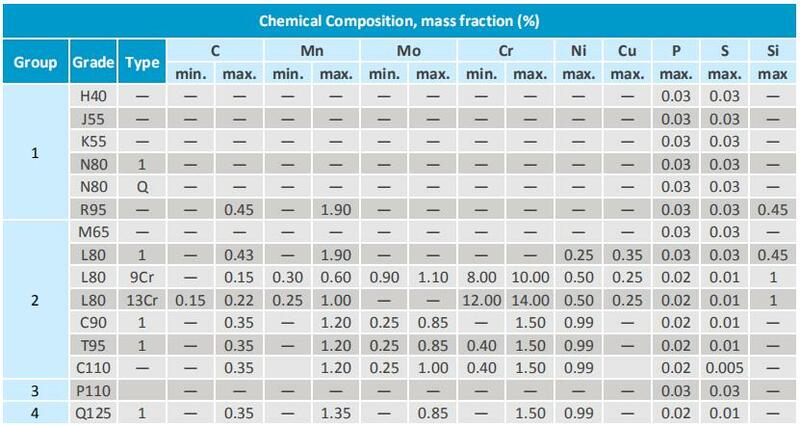 No hardness limits, but the maximum variation is controlled by manufacturer acc API 5CT. 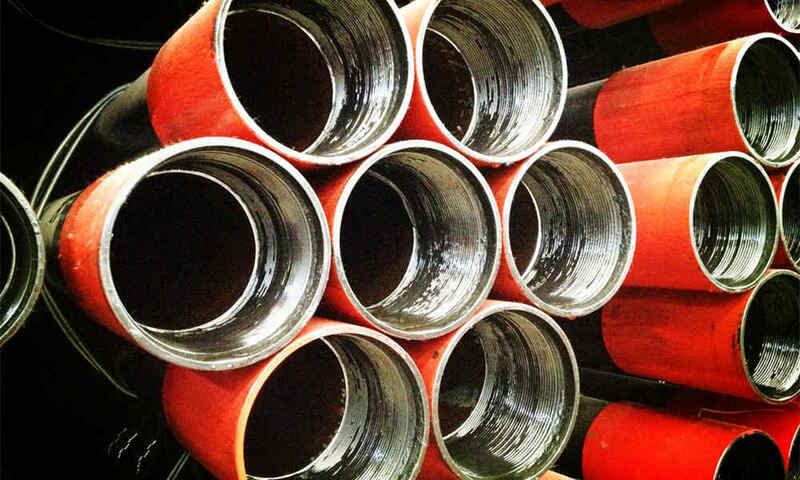 OCTG Tubing in API 5CT mainly used to transport oil and gas well drilling and oil and gas. 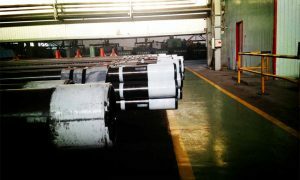 It includes oil drilling pipe, oil casing, pump tubing. 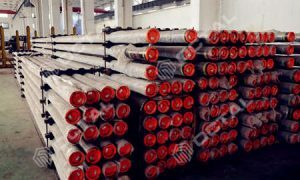 Oil drill pipes are mainly used to connect drill collar and drill and pass drilling power. 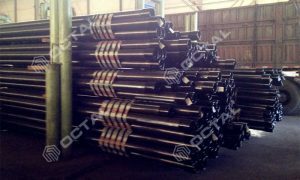 Oil casing is mainly used to support the borehole when drilling and after completion, to ensure that the conduct and completion of the drilling process after the normal operation of the entire oil wells. The pipeline mainly used in pumping oil and gas at the bottom transported to the ground.